Wow! It’s been quite a spell since I last blogged here. 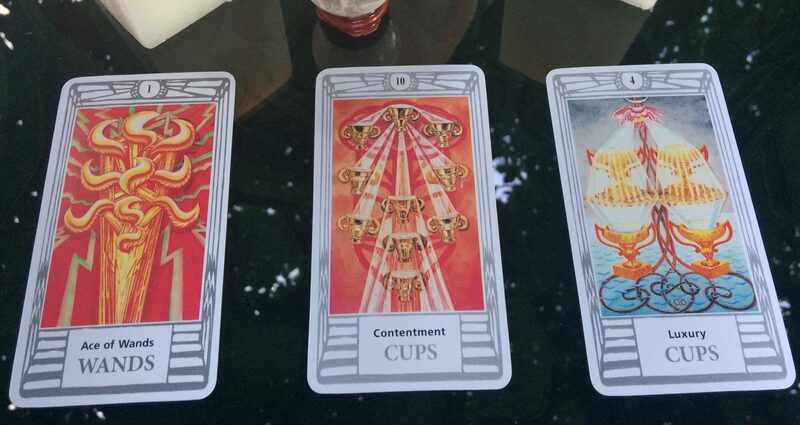 I’ve had my nose to the grind in tarot courses. Studying avidly and molding my personal style. You can usually find me on Facebook. Where I’m busy crafting my tarot journey through eJournal, my page, The Taroz Buzz. My handle? @420Tarot of course! It’s a great place to better orgaize my study, practice and projects. I also spend alot of time in Facebook Community Tarot Groups. These are a great place to meet like minds and share tarot. I’m always seeking new insights into the Tarot. I’ve grown significantly from having the support of other group members. Which brings me here today, to share a blog in a group project from Ethony’s Tarot Readers Academy Facebook Group. We are examining the Suit of Swords. This project includes creating a tarot spread for each of the Sword cards. My card is the Ace. I’m not going to go into details of the meaning of the Ace of Swords, just a list of correspondences and then straight to my spreads. Please pardon my sketching ability, this too a work in progress. And please feel free to comment with your thoughts and suggestions. Your feedback is appreciated. Although the Ace is often a delight there are times when it’s message is not so pleasant. Making what should be clear uneasy to decipher. So here’s a few tarot spreads to help you better understand the Ace of Swords and it’s message. Whether it’s good news, a new idea, a spark of communication or an aspiring dream. (Crown Chakra or Injury) These spreads can help you cut through the bs and find the Ace’s best potential. What information am I receiving? What I can focus on to grow this seed? The Ace of Spades is said to be the most spiritual card of the deck. The Boss card, a symbol of ancient mystery representing transformation. Spirituality and the Crown Chakra include angel communication, divination, intuition and astral travel. Having a balanced Crown Chakra helps achieve enlightenment. Not born today? No worries, find your card here.